These all new Heavy Duty Vacuum Bottles from Globe Scientific have thick walls to withstand the forces of repeated vacuum applications in the laboratory. Designed for liquid aspiration and transfer operations, the bottles come complete with a polypropylene (PP) cap and TPE gasket for leakproof sealing. 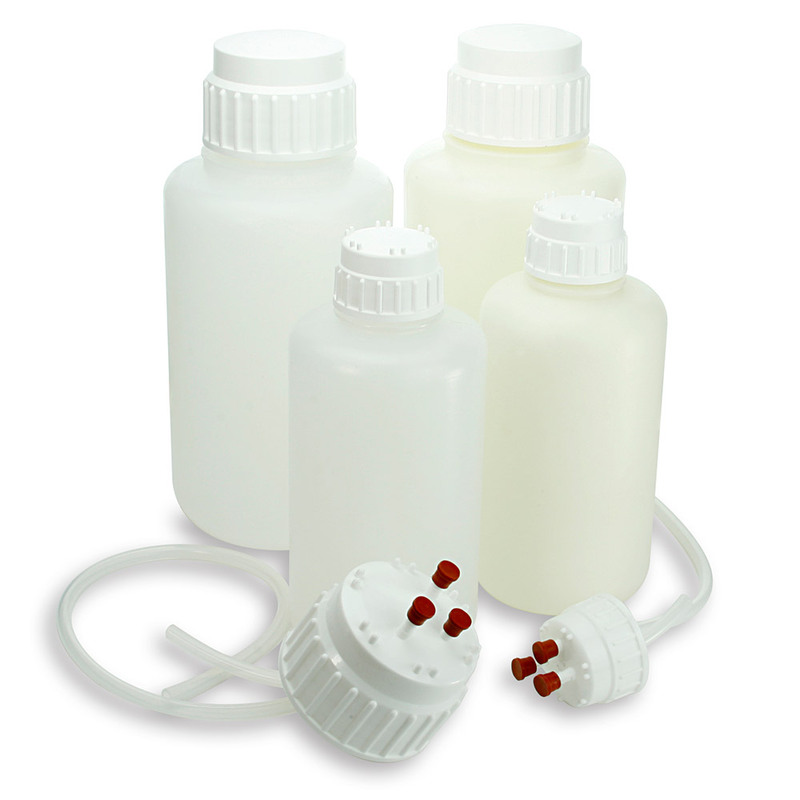 The polypropylene bottles are autoclavable and will hold vacuum for up to 24 hours at 20°C. All of our Heavy Duty Vacuum Bottles are manufactured from Medical Grade USP Class VI resins to meet requirements of most laboratories. When combined with the matching Aseptic Transfer Caps, Heavy Duty Vacuum Bottles can be used for safe, sterile transfer of reagents, media and solutions required in biotechnology, cell culture and other laboratories.